This project is an oral history of the workers on the iconic London Bus, exploring the lives of drivers, conductors, cleaners, mechanics and designers. 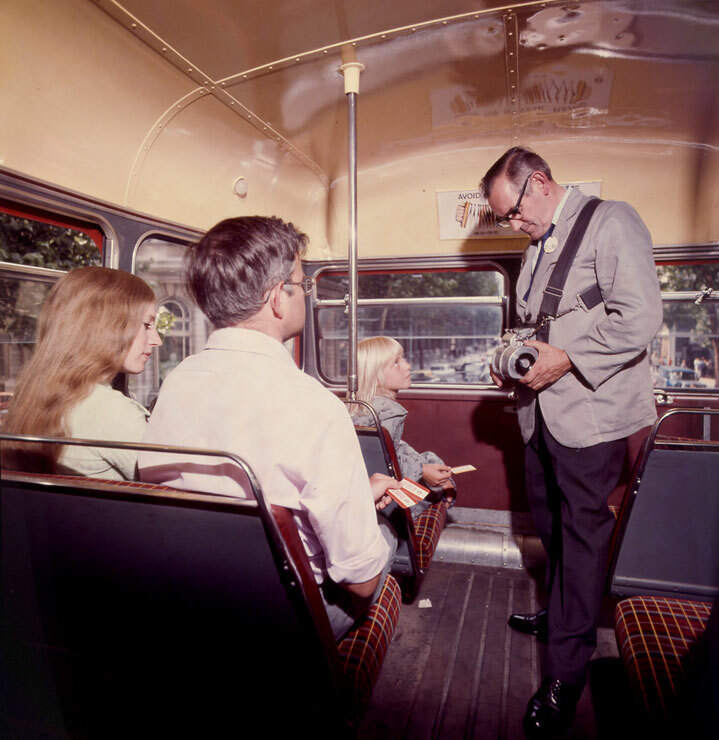 The project engaged children who explored this wonderful history through research, museum visits, a guided trip on an old Routemaster Bus but mainly through meeting and interviewing the very people who have made the bus the symbol of London it is today. digital:works worked with two London primary schools to chart the history from the first London Bus in 1829 to the present day. This project puts London bus workers at the forefront of this history and allows them to tell their story in their own words. The children worked with Westminster Archives and The London Transport Museum to study the history of London Buses and then conduct oral history filmed interviews with current and former London bus workers. They also produced some historical and creative writing for a booklet and exhibition. A documentary film based on these oral history interviews was launched at The London Transport Museum in the summer of 2016. The film also forms part of an exhibition which, along with the children's writing, will be shown at libraries and archives around London as well as in schools. This website hosts the young people's work including the full interviews they have undertaken, their final edited film and their writing, both historical and creative. There is also a blog which follows the progress of the project. We are grateful to Unite the Union and the Heritage Lottery Fund for financially supporting this project. > Watch the film now!